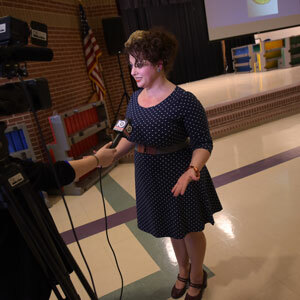 From crosswalks to distracted driving, stranger danger and fire prevention, online predators and bullying, matters of safety take centerstage during the annual Killeen ISD Safety Week at the end of January. 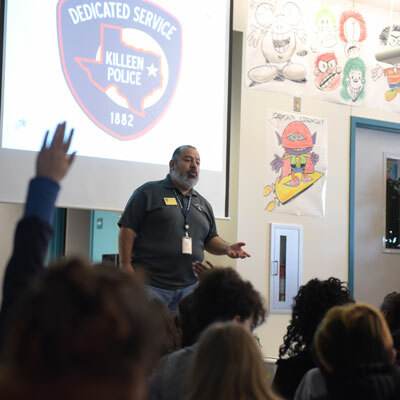 Urging younger students to never go with a stranger and older students to safeguard their personal information online, Killeen Police Department Child Safety Coordinator Julian Martinez spread messages of safety. 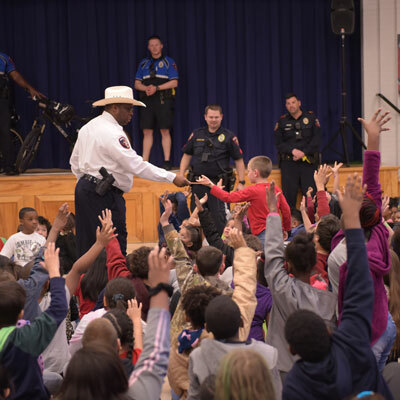 He gave safety presentations Tuesday at Brookhaven Elementary School and planned stops at other schools throughout Safety Week and beyond. Since 1994, Killeen ISD schools have observed the week of emphasis to remind students, family members and teachers and other staff of the importance of safety in all its forms. A stranger is someone you don’t know and it’s OK to say hello or good morning to them, Martinez said to a group of Brookhaven second-graders. “What if I say I have a game in my car, come with me to see it?” he said to the students seated in the school library. “No,” most of the students sang out. Say ‘no’ loudly, run away and seek a safe place like your own home, your school or a public place like a store or library, the police safety coordinator said. Strangers don’t look different than other people, he said, they can be scary-looking, well-dressed, even someone’s grandparents. “Good strangers” include police and firefighters who are in uniform and have their official vehicle in view, showing they are who they claim to be. Also, your teacher or someone in their work setting like a store clerk are safe strangers available to help. In a different session, with fifth-graders, Martinez emphasized the risks of giving away information, including your photo, age and gender. This information, he said, can attract predators. He also gave a stern warning to students about the hazards of bullying, including cyberbullying, which to some seems far away and silly, but has the power to destroy people. Throughout Killeen schools this week, students are taking part in poster and essay contests, hearing from various law enforcement representatives and a variety of anti-bullying presentations. Killeen Police Department patrol and bicycle officers joined Chief Charles Kimble at East Ward Elementary School Thursday to discuss safety in the neighborhood. Bicyclists should inspect their bike to make sure tires are firm and reflective gear is visible and wear helmets and bright clothes. Walkers should stay in groups and report anything suspicious, officers said. Pershing Park Elementary School students prepared cards and posters to deliver to local emergency responders, including the school nurse and another employee who is a volunteer firefighter. They also conducted monthly character education award luncheons in conjunction with safety. 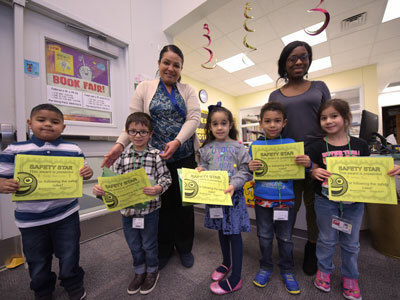 Carolyn Brown, a Texas PTA speaker, presented “Hey Dude, Nice Shoes,” in student assemblies Thursday at Timber Ridge Elementary School with a parent session planned in the evening. She explained to students the power of kindness, urging students to speak kindly with peers they don’t know, to persuade their friends to do the same and to speak up for those in need of help.